We begin training with concentration to still our minds, to prepare, but finally our aim is to let it move into allowing our dance to be what emerges. This way we have the raw immediately lived truth of our being on stage. 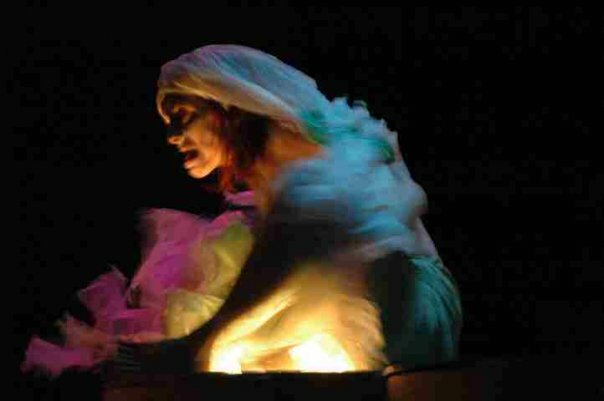 This entry was posted in butoh, Dance/Performance, Uncategorized and tagged Helen Thorsen, Solo at PAN benefit. Bookmark the permalink.